Our newest collaboration with IKEA is all about the traditional BILLY cabinets. 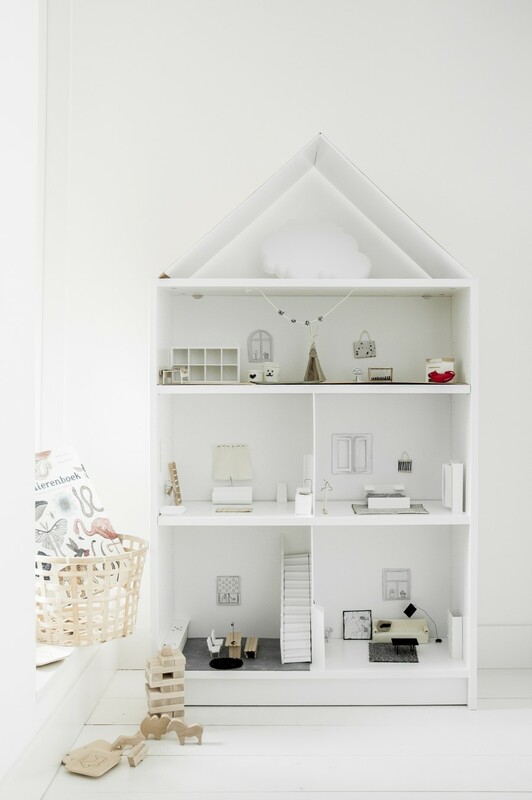 Like you can see we've made from a white low BILLY-bookcase a cute dollhouse. A nice DIY for in your spare time and also a lot of fun for kids. Buying toys for your kids is fun, but making it by yourself is a lot more fun! But how do you start? By simply making a roof on the BILLY bookcase. This you can do with two foam plates covered with wood veneer. Of the remaining foam plates you create walls for different rooms of your dollhouse. With hand made mini furniture you make your dollhouse unique. The mini furniture you can make out of ice cream sticks, foam and a board of carton. You can make all sorts of imaginative furniture. 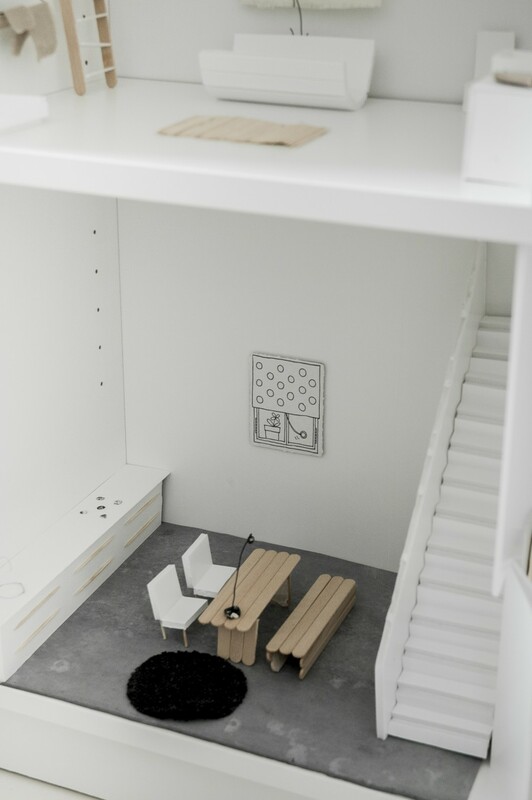 The wooden ice cream sticks create a table with a bench, with the board of carton you can make a closet, bed, sofa etc. To top it off you can coat the furniture with a piece of fabric. To create some simplicity in this dollhouse we have chosen for light colours, but of course you can experiment with different colors and fabrics.